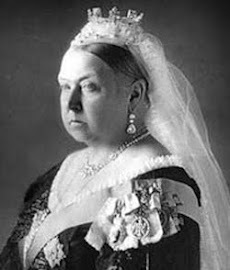 Four of the original Durbar chairs made for Queen Victoria in 1890-91 have been restored to their rightful place in Osborne House, Isle of Wight, after 100 years in private hands. 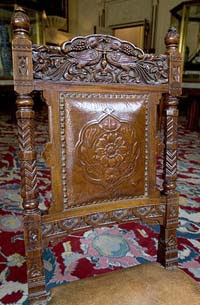 English Heritage helped raise £45,000 to buy the chairs after being tipped off when they appeared in a Midlands sale room. 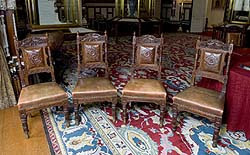 They join five other chairs from the original set of 36, bringing the total at Osborne House to nine. The magnificent walnut and leather chairs were created by Bhai Ram Singh to complement the Indian-style Durbar Room (shown here), which was commissioned by Queen Victoria in 1890 to celebrate her role as Empress of India. The room, which was used originally as a banqueting hall, was designed by Singh and John Lockwood Kipling, father of Rudyard Kipling. 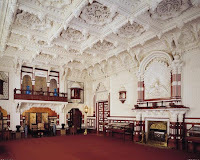 Its walls are decorated with symbols of India, including Ganesh, the elephant god of good fortune; the deeply coffered ceiling is made of a fibrous plaster. 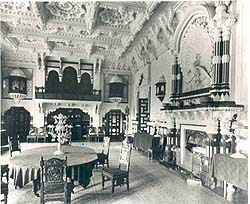 taken in the 1890s and showing the Durbar chairs in place. English Heritage for Osborne House. in the door and door surrounds in the Durbar Room.